Russia: "American Detained During 'Spying Action'"
FILE - In this Friday, Dec. 30, 2016 file cars pass the FSB headquarters in downtown Moscow, Russia. Russian security officials said Monday that they had detained an American citizen in Moscow on suspicion of spying. 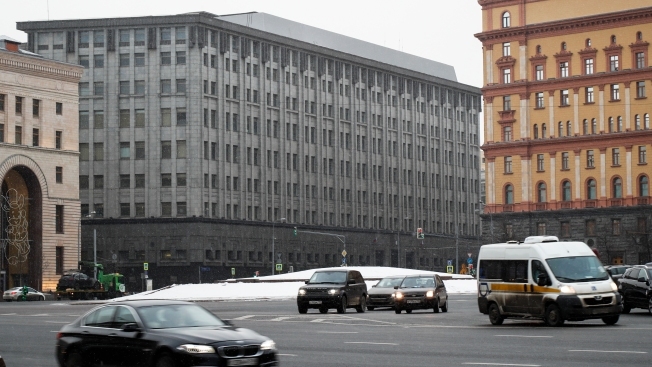 Russia's domestic security service, FSB, referenced a section of the country's criminal code regarding espionage but did not specify charges. A spokesman for the U.S. State Department told NBC News that the U.S. had requested consular access, as called for in the Vienna Convention.